London, 14 March 2018. 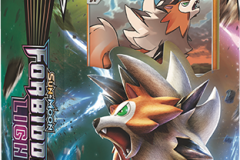 The Pokémon Company International today announced Sun & Moon—Forbidden Light, a brand-new expansion for the Pokémon Trading Card Game, launching across the UK on 4 May 2018. Building on the story of Sun & Moon—Ultra Prism, this latest expansion showcases the mysterious power of Necrozma, who has absorbed a Legendary Pokémon and taken on a luminous new form as Ultra Necrozma-GX. Drawn to this new light, other Pokémon, including Lucario-GX, Greninja-GX, Zygarde-GX, Yveltal-GX, Volcanion Prism Star and Arceus Prism Star, must decide whether to welcome it or resist it. For the opportunity to try out Sun & Moon—Forbidden Light ahead of launch, head to one of the many Prerelease tournaments taking place around the UK from 21–29 April 2018. Find your nearest participating independent retailer by visiting pokemon.es/localizador. 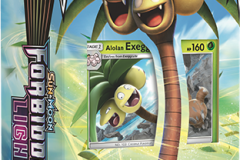 For information about the Pokémon TCG: Sun & Moon Series and products, visit pokemon.es/JCC. Copyright©2016- Best Vision PR All rights reserved.